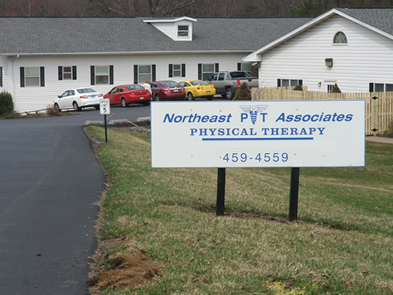 Physical Therapy | Hazleton, PA - Northeast PT Associates, Inc. Speed up the recovery process after you've been injured at work, through your daily activities or on the athletic field by turning to NEPT. We are a physical therapy clinic that offers a variety of health-benefiting treatments for men, women, and children. By working with us, you accelerate your recovery time and more. We'll even personalize our services in any of our three locations so that you can get the attention that you need. Since 2000, Northeast PT Associates in Hazleton, Drums and Shenandoah, PA, have helped all ages improve the quality of their lives. We specialize in orthopedic, geriatric, pain control and balance training and offer treatments to enhance your health. From pain management to work hardening, to alzheimer's and dementia treatment, we offer it all. We also provide neuromuscular re-education, strengthening and therapeutic exercise services as well as traction and modalities for pain. For patients who want to achieve other health goals after receiving therapy from us, we have a wellness program available. This program is offered for a nominal fee.